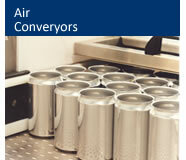 Compere Ling offers a range of can and air conveyor systems including our popular air blown empty bottle conveyor lines. In addition, the air cushion conveyors can handle most forms of regular shaped packs, e mpt and full cartons and trays. 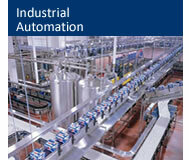 Systems are mostly manufactured in stainless steel, along with mild steel and plastics. Compere Ling integrates with Compere's Control team to produce quality automation solutions to complement the conveyor design.